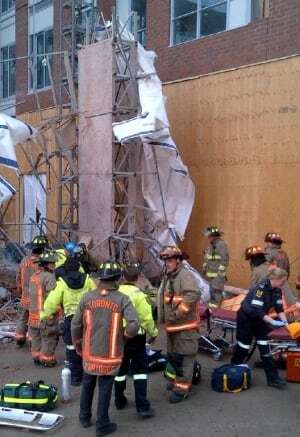 Two bricklayers were killed when a hydraulic scaffold — also known as a mastclimber –malfunctioned at a Toronto condo project, just a few days after another mastclimber disaster in Raleigh, NC, killed three. Ontario’s Labour Minister Kevin Flynn and the ministry’s chief prevention officer, George Gritziotis, issued a joint news release on Friday afternoon to confirm an investigation has been launched. “We want to express our deepest sympathies to the families, friends and colleagues of the individuals who lost their lives. No one should go to work in the morning and not come home at the end of the day,” the statement said. As a result of the Kipling Avenue tragedy the province appointed former Cabinet Secretary Tony Dean to lead an expert panel to look into worker health and safety. The report made 46 recommendations for improving worker safety in the province in December 2010. In the recent Raleigh, NC incident, the disaster occurred as workers were dismantling a “mast climber” on a new downtown office building, where track ripped from the building, sending a platform falling several stories and landing upside down. Several climbing platforms ring the nearly-completed building. 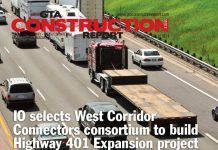 State safety officials want the general contractor have an engineer assess those systems before they return to service.